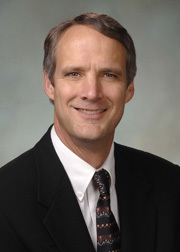 Paul Theobald is running for the Third Congressional District. Paul Theobald is an educator, author, and farmer. Paul’s dedication to rural communities is a legacy of his family roots—he is the grandson of farmers and son of a rural mail carrier. Paul Theobald’s entire career has been devoted to protecting and promoting rural communities and schools. As a student, Paul studied rural history and literature—and he still makes academic contributions in these areas. Paul and his wife, Maureen, raised their children in Nebraska while working at Wayne State College and Providence Medical Center, respectively. Paul and Maureen live on a small farm in Pierce County where they pasture-raise purebred heritage breed hogs. Paul believes it’s time to send someone to Congress who will work on behalf of rural people, communities, businesses, and schools instead of corporate powers. Nebraska has a long legacy of standing up for small family farmers and ranchers and creating innovative solutions to problems our rural communities face.